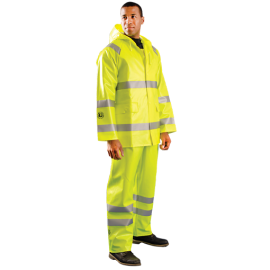 A High Visibility Jacket can keep your workers warm in the coldest weather while also confirming to ANSI Class 3 Hi Viz standards from OSHA. 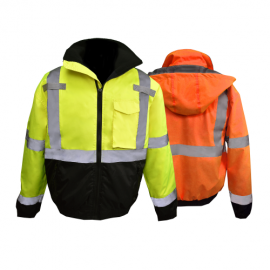 Combining Reflective Vest technology, with warm hi viz bomber jackets, wind breakers and hi viz hoodies, you will be able to safely complete your job in cold weather. 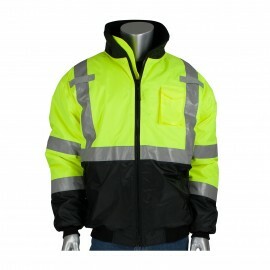 Stay safe and warm with high visibility bomber jackets and sweatshirts from Enviro Safety Products. 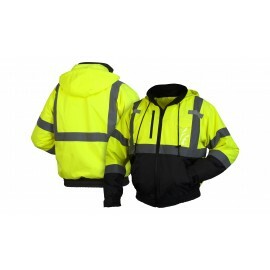 We offer the best cold weather clothing you need while facing whatever weather is thrown your way. 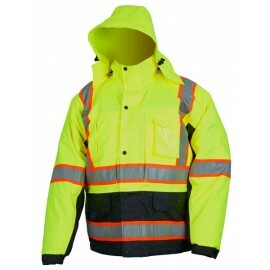 You'll be able to complete your job while staying warm and toasty in cold weather - be it snow, wind or rain. 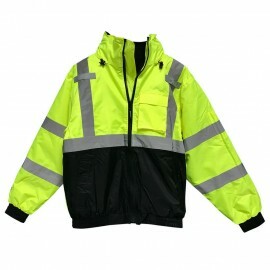 We offer bomber jackets, breathable windbreakers, hooded sweatshirts, crewneck sweatshirts, body warmers, weatherproof parkas, soft shell jackets and more. 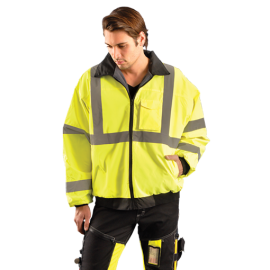 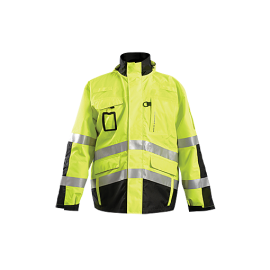 These are all excellent for working outside where it's cold and you need to be seen, and come in the standard yellow and orange colors with reflective material that all ANSI compliant safety vests are required to be made of. 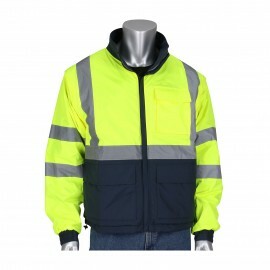 You can layer up because with so many options, you can put a sweatshirt underneath a parka and remove the sweatshirt if you still need coverage from the rain or wind. 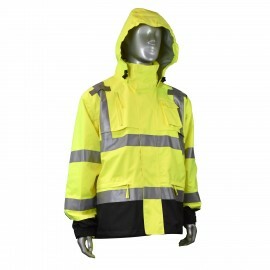 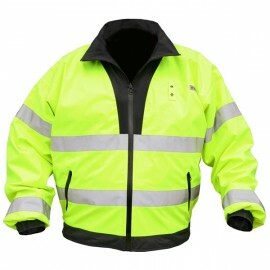 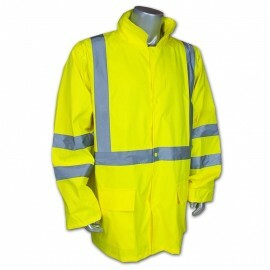 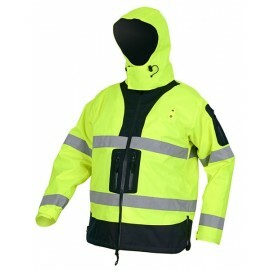 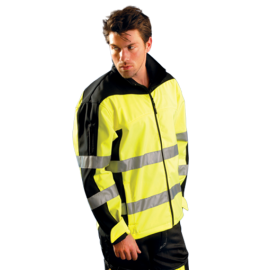 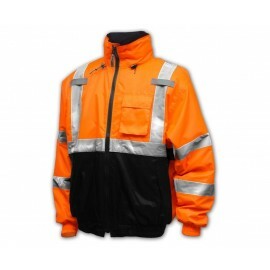 Many of these are Class 3 high visibility jackets so you're covered no matter what. 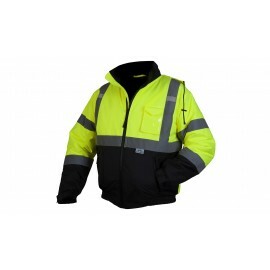 Choose from well-known brands like OccuNomix hi viz and Radians hi vis. 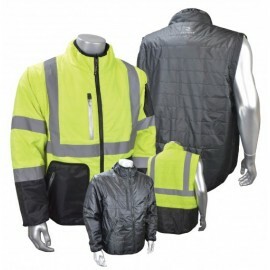 Enviro Safety Products also provides Public Safety Vests that are ANSI 207 compliant for the public safety sector. 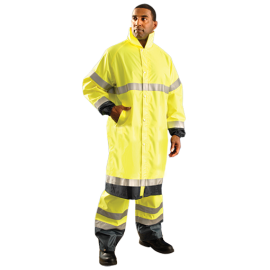 Along with other types of high visibility clothing that comply with OSHA's ANSI standards for hi viz clothing.